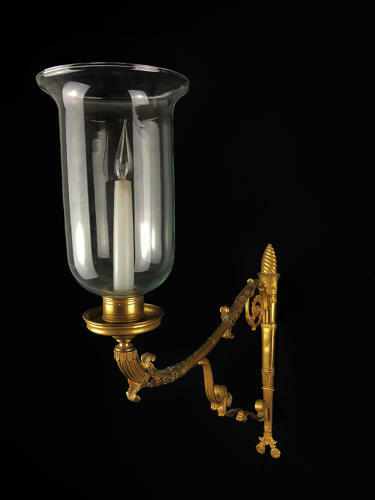 An unusual English Regency single arm wall light with an out-swept classical empire arm. With a shade originally for a candle now converted to electricity. The wall mounting in form of a quiver and has acanthus decoration applied to the out-swept arm.